See what a Warehouse Shade Gooseneck can do for commercial lighting design. The ideal awning and sign light, this 12" Warehouse Shade fixture looks stylish in multi-light arrangements. And all-aluminum construction with rust resistant powder coated finishing enables lasting outdoor use with virtually no maintenance required. 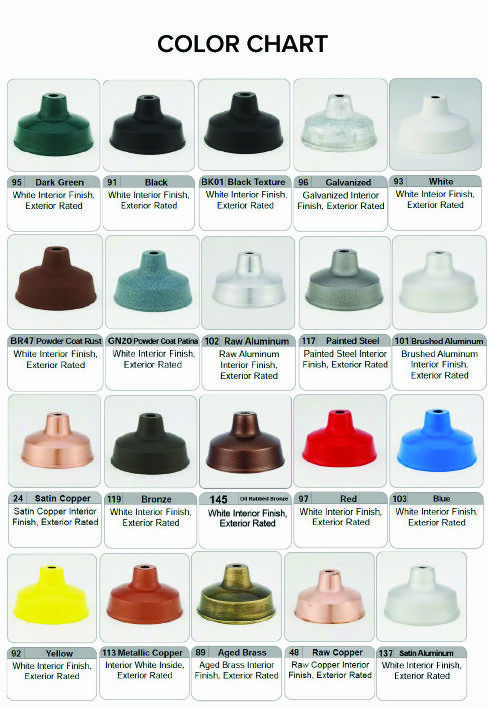 Choose from 25 color options; white, black, galvanized steel and dark green available at no addition charge. Standard incandescent gooseneck lights are available to order online and come wired for 120v service. The sturdy aluminum back plate installs to any standard 4" round or octagon j-box. For compact fluorescent, LED or high-intensity discharge lamping, please call toll free for details. Note that HID gooseneck lights may require a different ballast; one of our project managers can offer assistance and a price quote.